It is with great sorrow that we announce the death of Mr. Augustine Dymocke Sozi which occurred on March 19, 2014 near Houston, Texas . Mr. A.D Sozi, 81yrs, a father, grandfather and former Headmaster of Kitante Primary school, has been living with his daughter Love Sozi in Texas for about six months. He was scheduled to fly back to Uganda in 2 months, unfortunately he passed away suddenly on 3/19/14 at 5:45pm. He did not have any medical problems except for high blood pressure which was well controlled. We are trying fund-raise in order to help offset the costs of the funeral home and transporting the body back home. Your contribution will be greatly appreciated by Love (daughter) and her family. They are tentatively planning to have two funeral services, one in Kampala and the other at Ndejje Luwero, where he will be laid to rest. We will update you with information as we receive it. Please find this Tribute page that has been set up for the late AD Sozi. Please post your tributes and share widely with friends and Kitante Alumni community. Wow! 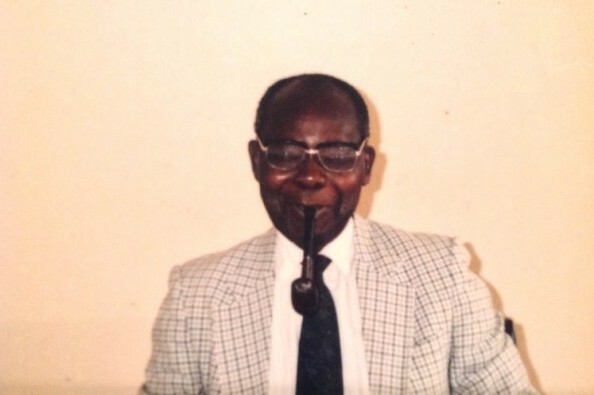 Even after all these years, I fondly remember Mr. Ssozi…he was like a father to us all! What a kind, joyful, loving man! I wish I had known he was in the US … I would have loved to see him and tell him just how much he meant to me. I’m truly saddened. RIP Mr. Ssozi. And THANK YOU for all the love you gave us, much like we were your kids. Mr.Ssozi was my very first headmaster, in Kitante Primary School,a very loving,caring and gentle person.Always looking out for the welfare of others,we loved you but God loved you the more, Rest in Peace till we meet again.